Thirty years ago, in his film Zelig, Woody Allen portrayed a “human chameleon” — a man who took on the personalities of people around him. 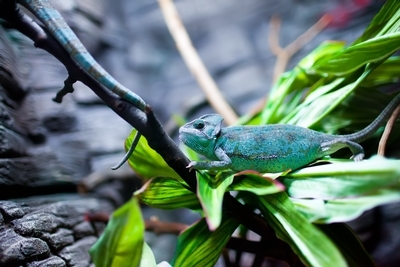 A ghostwriter must be something like that: a “chameleon” who can write in the voice of any client. As a ghostwriter, you must convey your client’s message to the public. Yet the job doesn’t stop there. You do more than just transmit ideas and opinions; you also must become the client, in a sense, adopting his or her way of thinking and tone of voice. Then the work will sound as if your client had actually written it. You use the client’s vocabulary, sentence length and punctuation. But of course, your writing reflects the client’s views, tastes and priorities, too. In short, because you speak for the client, you must take on the client’s personality while writing. This is tough, because the client may have a personality, and a voice, at odds with your own. This tone of voice probably belongs to an executive or salesperson — someone who moves fast and gets things done. He or she wants to light a fire under readers. For that, you need to write fast, punchy prose. Note those energetic verbs — win, wake, beat, catch. These clients speak from two different worlds. And you, the ghostwriter, must learn to use both their voices. In fact, you must be ready to use many different voices, because your client may be anyone from a singer or standup comic to a financier or scientist. I’ve written B2B sales copy. It teaches you to make your point quickly, in vivid language. That experience helps me write for go-getters who want to motivate people. It also helps me write simple, clear prose that makes anything easy to understand. I’ve spent time in academe, reading texts and scientific papers. That gave me good training in sober, logical exposition so I can write in the academic’s or professional’s voice, too. I read on many different subjects, from science to history. That reading shows how many different authors, using their own distinct voices, treat their topics. From each book or article, I’ve learned a lesson about voice, tone and subject matter. All such lessons come in handy for ghostwriters. Your client’s voice may be highbrow, lowbrow or middlebrow. And his or her tone may be loud, soft, persuasive, angry, sweet, harsh, nostalgic, bitter, practical, idealistic, critical, sympathetic, sad, funny or just neutral. But whatever the client’s voice and tone, they must become yours as well. Just remember: As a ghostwriter, you’re also a chameleon. And if the reader notices your voice rather than your client’s, you’ve failed. A chameleon’s life is not an easy one. But with a little effort, and a keen ear for other people’s words, you’ll pick up the skills you need. Then no one will know you’re there … except the client, who will be glad you are. David Ritchie writes from Brookline, Massachusetts. His articles have appeared in the New York Times Magazine and many other periodicals. One Response to "Invisible Writing"
I had to do this when writing speeches for ministers of education. I did this for two of them, and they both had very different styles and personalities. The message might be the same, but the style varies considerabley. Editors have to do the same, e.g., not removing all the contractions if the author is informal and the audience/purpose are too.